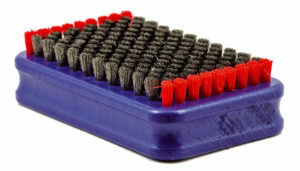 Universal brush in natural fiber for all first brushing operations. More incisive than a nylon brush. 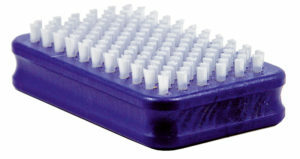 Universal brush in white nylon for first brushing of medio-hard waxes. 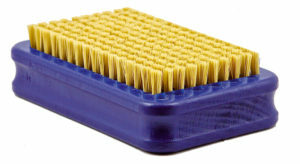 Bronze Brush is ideal for all cleaning operations, for brushing hard waxes used for cold temperatures and for perfect cleaning after stone grinding. 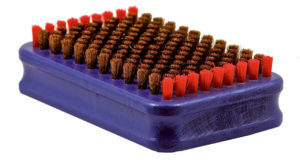 Horse-Hair brush for finishing after use of 100% fluoro products. 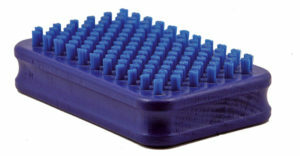 Stainless steel brush for activating bases. Excellent with Map Black. 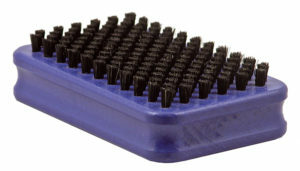 Universal brush in blu nylon for first brushing of medio-hard waxes.